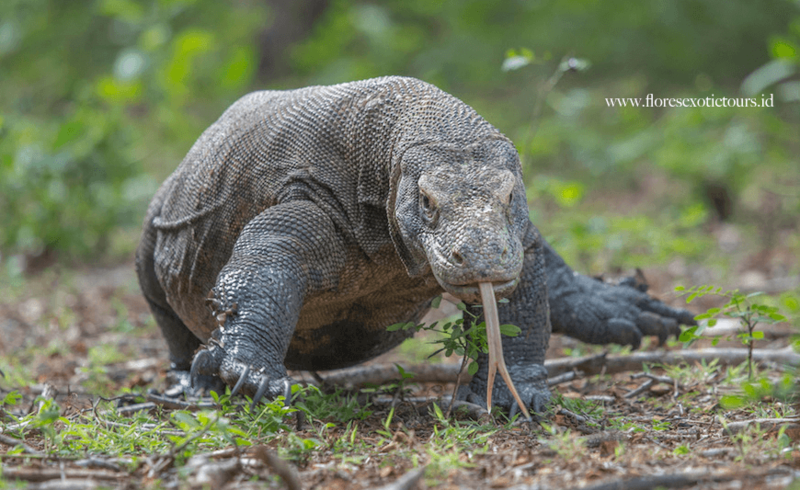 Komodo and Flores Discovery Tours, Discover Komodo Dragon in their home, Komodo National Park and explore Flores, nature,Culture and Tribes. Morning after breakfast at your hotel by airconditioned car drive up to Ruteng, on the way visit Mirror stone cave ( stalactites and stalagmites), Lembor rice field and Golo Cara village; the unique Lingko rice fields, circular terraces arranged like a spider web . Dinner at local restaurant and over night at Susteran MBC guest house Ruteng or Sindha Hotel. Departure from your hotel , first visit Golo Curu with its very nice scenery from Ruteng town and rice field, on the way stops in Rana Mese lake, Aimere and Bena Traditional village. It is prototype of an ancient Ngada village. Such villages are found in rather great numbers in the area. Dinner and Overnight at Sanian hotel or Happy – Happy hotel or Villa Manulalu. Early morning departure from Bajawa to Riung, check in at Pondok SVD then transfer to the pier of Riung to make a boat trip visiting Riung Marine Park, first sail to Ontoloe island to see the flying fox then Snorkeling ,swimming and relaxing on Rutong island, afternoon back to Riung. Lunch will be provided. Dinner and overnight at Pondok SVD or Cafe Del Mar. Drive through the north costal of Flores to Mbay then drive up to Aegela, with its very nice scenery from rice field, stop in Nanga Penda beach to see the blue stone , continue drive to Ende where you visit lokal market and lunch, After lunch drive to Detusoko, with its nice rice field terraces then drive to Moni. Dinner and overnight at Kelimutu Moni Eco Lodge or similar. Early morning at 04.00 drive up to the three colored lake of Kelimutu, one of the most specular and mysterious sight Indonesian. Back to your hotel for breakfast, after breakfast visit Wolowaru traditional village, and than proceed to Paga and Maumere. Dinner and overnight at Sea world club Maumere. Morning free program (depend on flight schedule) before transfer to Frans Seda airport for the flight back to Denpasar. Dress is casual. Clothing should be light, preferably cotton with at least one long sleeved shirt and pants. Bathing suit, thongs or sandals and sneakers or walking boots, lots of film, camera, replacement batteries, and spares. Bring one light sweater or jacket as it can get cool in the highlands. Also bring sun-screen, insect repellent, sunglasses, sunhat, swimmers.